Here’s an interesting piece from Ellis Nelson about a mystical experience during the famous first flight across the Atlantic. Sounds as life changing as an NDE. Last week I was sure this week’s blog would be on John Dee. I’ve read several books about the Elizabethan alchemist, queen’s spy, and magus. But John Dee is a complicated subject, and well, I got sidetracked in a synchronistic sort of way. Consulting Harper’s Encyclopedia of Mystical and Paranormal Experiences, I was shocked to find John Dee not included, but stumbled on a fascinating little entry on Charles Lindbergh. Lindbergh? 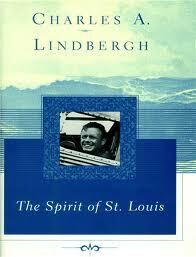 THE Lindbergh? Yup!